This album has been a long time coming. When Songs of Innocence 'fell out of the sky' from no where, Bono was quick to mention U2 had actually recorded two albums and would be releasing a companion album as a fast follower. 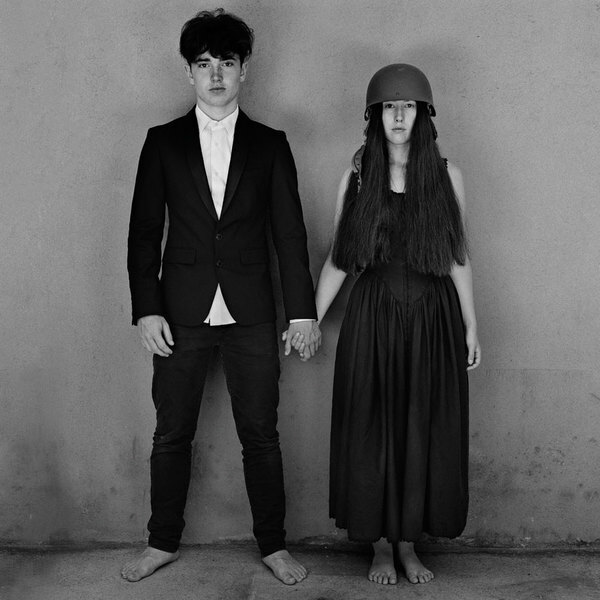 Well, no one listens to Bono so when he said it was coming in 2016, we knew he meant 2019 so it's with some listening pleasure we are reviewing Songs of Experience in late 2017. A mild opening track which sets a sombre tone for the album. Atmospheric and it largely works except for the ridiculous vocal manipulation done midway through. Could not be more of a different album opener than Discotheque if you tried. There's clearly going to be no tounge in cheek or village people on album. Another single, that promises much when it evokes the opening of Where The Streets Have No Name but doesn't get quite to that level of glory. A firm track to back up the first single and a real grower with each listen. The one with Kendrick Lamar marshaling comment on rich people and maybe Donald Trump. Another American love letter from the band to America. They sure do write a lot about the US of A! Another stray from the rescue home. Could have done with a bit more TLC before being released back into the wild. Has a nice melody. Now we are talking. The first genuinely brilliant song with a chorus hook to die for. A classic song in the sense that it's a upbeat song where the lyrics focus on the utterly depressing subject of Syrian refugees. The structure and feel also harks back to very early U2 tracks found on Boy and War. Excellent drumming. This one of the best songs U2 have written in a decade. With a wonderful melody and a sing a long chorus to die for. 10 out of 10. Instantly goes into my top 5 U2 songs. Would have loved to have seen how this would have gone as the first or second single released. Reminds me of a glorious pop song of the sixties that I just can't recall. The rocker song on the album, this has STADIUM written all over it. A filthy base line from Adam Clayton and his best in many an album. Strong echoes of Achtung Baby and Zoo Station. U2 will never record another Achtung Baby but we can still expect them to record cracker songs and a handful of those have been delivered with this album. A genuine surprise that the Lights of Home is so genuinely bad but that can be quickly over looked by the big singles and sing-a-long tracks that far outweigh any complaints. Despite Bono's rhetoric' about American President Donald Trump being the basis for a lyrical rewrite on many songs, the effect is negligible - maybe there's a dig about him as a dinosaur in The Blackout and a bit of a sledge in American Soul but that would be about it. 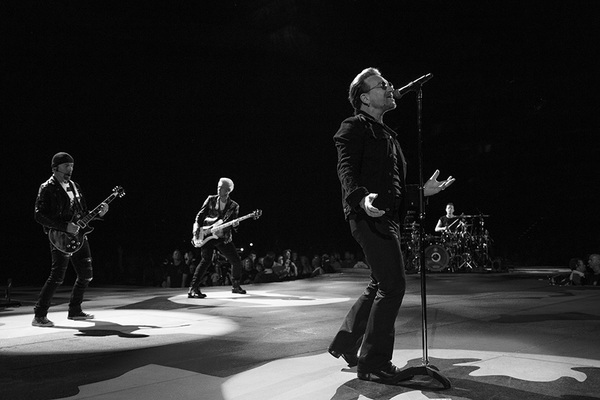 U2 will go on the road in 2018 to support the new album Songs Of Experience with the Experience + Innocence tour. This is clearly the first leg of the tour, more dates will be added as U2 goes beyond America. The Landlady Bono is referring to is most likely his with Ali. It would seem that several songs are inspired by here - as given this is an album about experiences, many pivotal moments in Bono's live are with her. 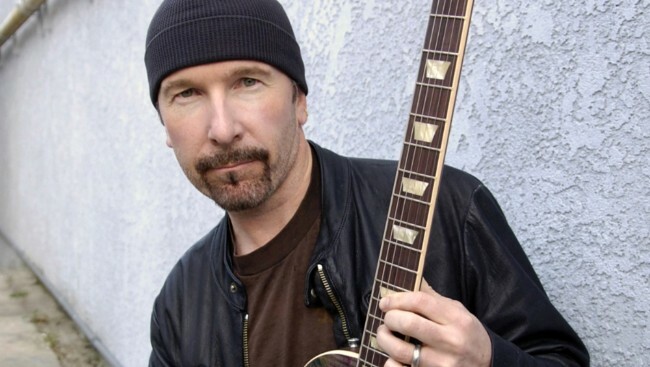 What U2 songs does the Edge sing on? 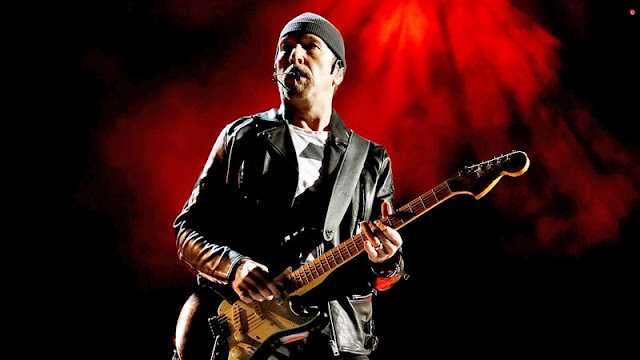 The Edge sings on plenty of U2 songs as back up vocalist, often sharing those duties with Larry. Here's a couple of songs where The Edge has taken the lead vocal duty. Clicking on the song name with take you to the lyrics. "Numb" was released as the Zooropa's first single. Numb is a repeating, monotonous mantra spoken by The Edge with a drumbeat sampled from the Leni Riefenstahl film Olympia. "Numb" also features backing vocals by Bono and Larry Mullen, Jr i.e. while the The Edge sings in a slow monotone while Bono sings around it in his 'opera' voice. Here's the video of Numb as it's a classic! Van Dieman's Land was the original name used by Europeans for the island of Tasmania, Australia. The lyrics were written and sung by U2's one and only The Edge. The song is dedicated to a Fenian poet named John Boyle O'Reilly, who was deported to Australia because of his poetry and Fenian leanings. The track itself is from Rattle and Hum. During the Pop Mart tour, The Edge took lead vocal duties live on stage for this song. Edge sang alone and without accompaniment from the rest of the U2 band, save for his own guitar. When she needs you quietly"
The Edge is also noted as singing the the first half of the song "Seconds" from War, dual vocals with Bono in "Discotheque" from the Pop album, and the bridge in the song "Miracle Drug" (though there's some debate about that).